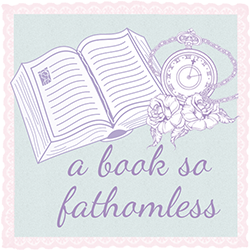 So the lovely Ely has asked me to do a guest post here at A Book So Fathomless, which I am very excited about! Today I’m talking about my reading habits and I want to hear about yours too, so don’t forget to leave a comment. One of those questions that comes up every time we turn the last page is what do we read next? I’ve always been a systematic reader – I have stacks of unread books all organised in the order I’m going to read them, usually based on when I bought them. I figure this way, everything gets read (eventually!). The problem of course appears when you buy a book you really want to read but have to wait until you get through the other ones first. So this rule slightly got changed when new books in series came out and those books got bumped up the stack. And now that I accept books for review, these books take precedent over the books I bought for me, but I always make sure that I mix it up a bit and read books that I bought as well as books for review, or else I think I would always be reading review books and would miss out on all the others! I still put a lot of thought into my immediate TBR stacks though and am perhaps even more of a systematic reader than before – but that’s how I like it! 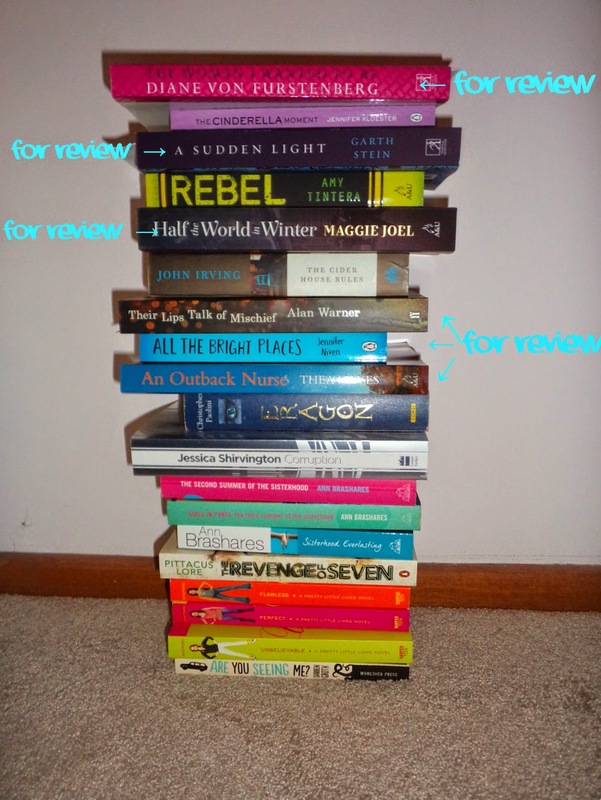 Caption: My immediate TBR - there are another eight piles like this! 2. What bookmark to use? Over the years I have become an accidental bookmark collector. I always used bookmarks and hate the idea of using old receipts or ripped pieces of paper, although I am not against the dog-ear (because sometimes its necessary) and have at times been known to use photos to mark pages (I have a lot floating around – also I found that photobooth strips work great!). 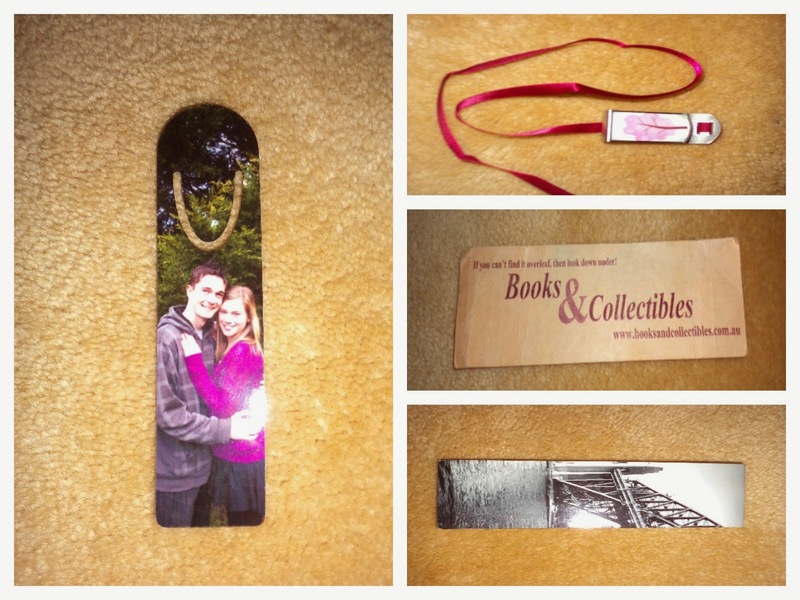 But I really love bookmarks. Unfortunately I lose them quite often :/ so I make sure I have a lot of replacements. I especially like to buy bookmarks when I’m travelling or if doing something or going somewhere new and exciting. Like most bookworms, I have a number of Book Depository bookmarks, as they just accumulate! My favourite is the one that my boyfriend had made for me for my birthday with a picture of us on it. It’s so cute! Caption: my favourite bookmarks: on the left is the one my boyfriend had made for me; top right is from Singapore; middle right is from my favourite secondhand store that has since closed down; and bottom right I picked up from Megalong Books when visiting Sydney last month. After finishing a book, once recovered from the book hangover and ready to let go of the book itself, there is always the problem of where to put the book, especially when your shelves are overflowing, and how you organise those shelves. Much like I have a systematic order for my TBR pile, I also have one for my bookshelves. It is simple and not at all original but it does work (and in part stems from the desire to be a librarian when I was younger). I use an alphabetical by author last name system. And the only downfall is when you get a new book, you have to move alllllll the other books to make room for it. But I don’t really mind that much. I just like to be around my books and am lucky to have a whole room in my house devoted to them, so I don’t mind reorganizing and rearranging and shifting all my books around. I also have a couple of shelves of childhood favourites – one of these is dedicated to exclusively horse books and the other has a mixture of books I read when I was younger, like Animorphs and Sweet Valley High, that I just can’t bring myself to get rid of. So tell me: What are your reading habits? How do you decide what to read next? What does you use for bookmarks? 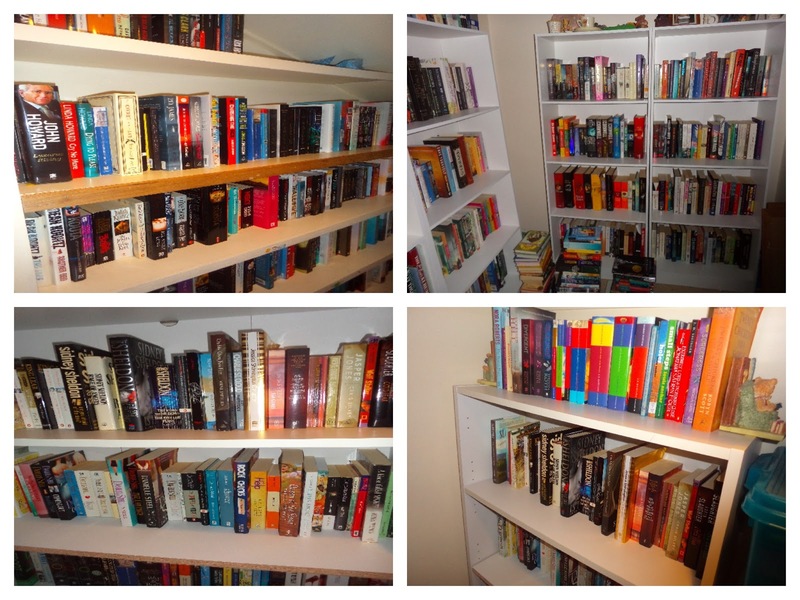 And how do your organize your bookshelves? You can find the wonderful Brit on her blog, Crash My Book Party. I just want to thank Brit for being so lovely as to write this post for us and I hope you all enjoyed it as much as I did!